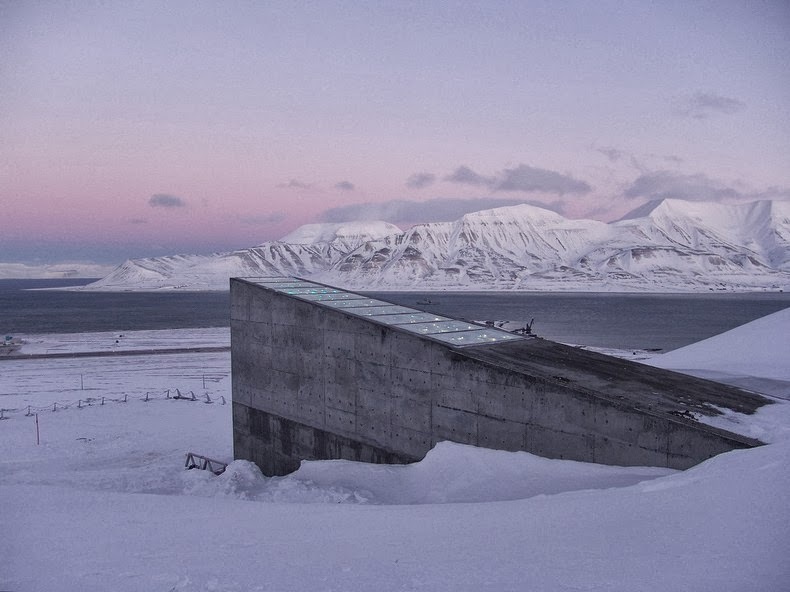 On a freezing remote Norwegian island is a huge secret concrete underground vault with the huge entrance built into the side of the mountain. 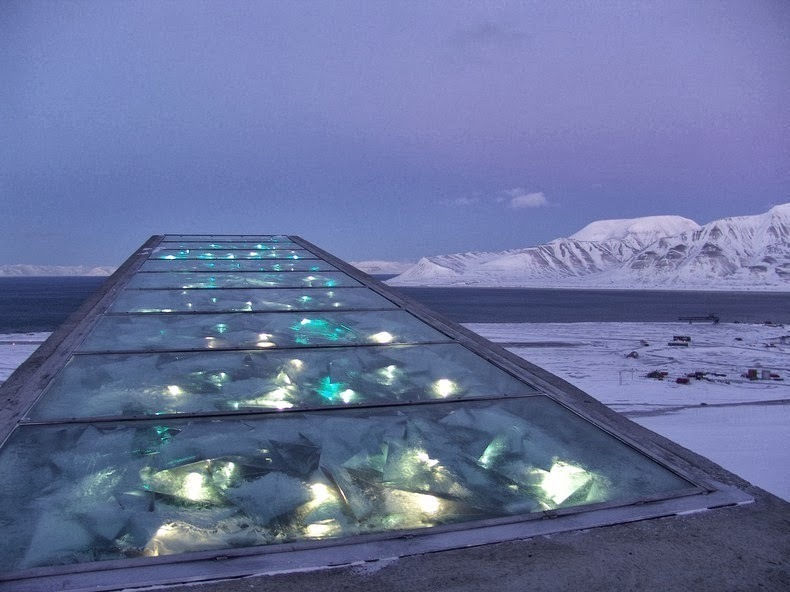 The island of Svalbard is halfway between the Norwegian mainland and the North Pole and it is home to the Svalbard Global Seed Vault. 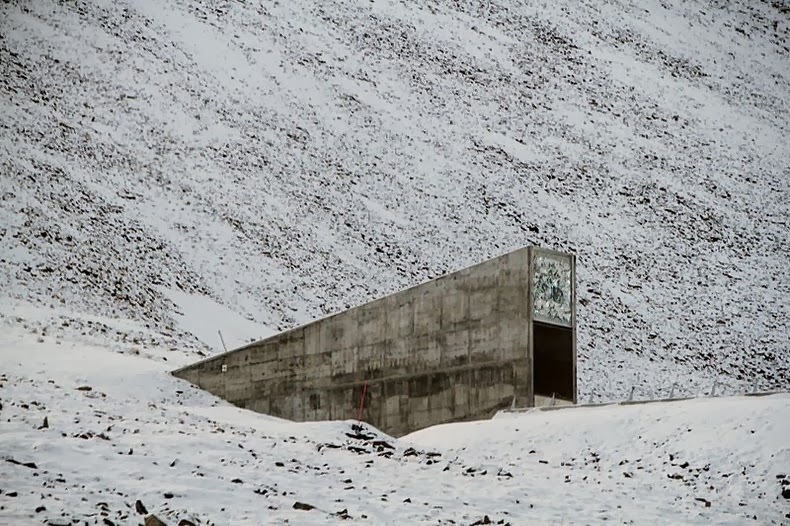 The Svalbard Global Seed Vault is a state of the art fail safe storage facility built to withstand time, natural disasters and possible nuclear war. 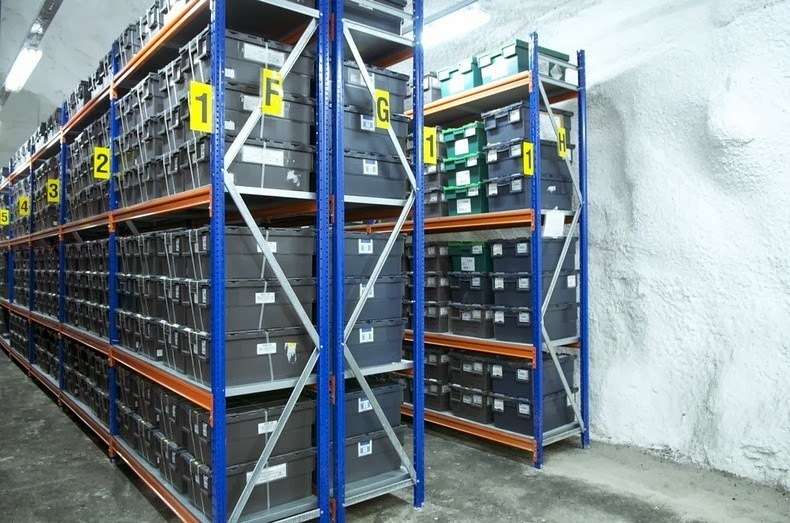 The reason this vault was built was to store frozen duplicates (back ups) of all the seed samples that make up the worlds food crops. 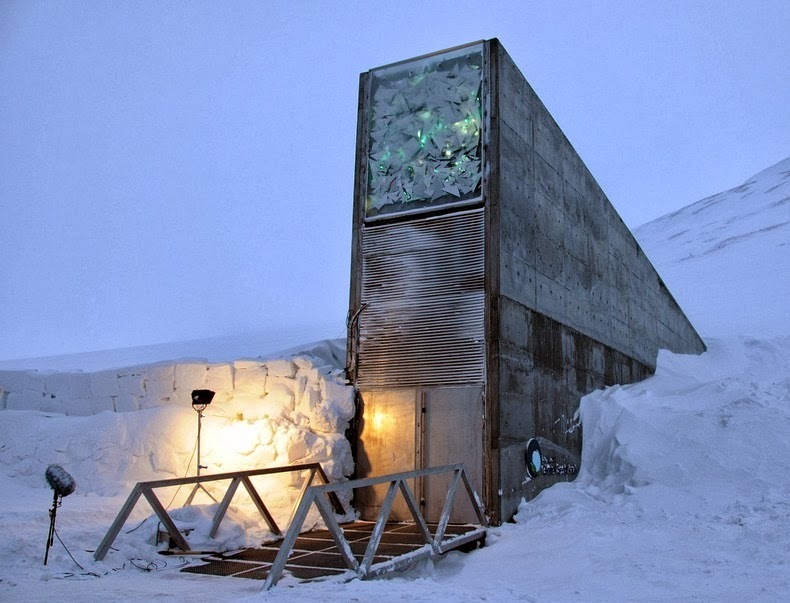 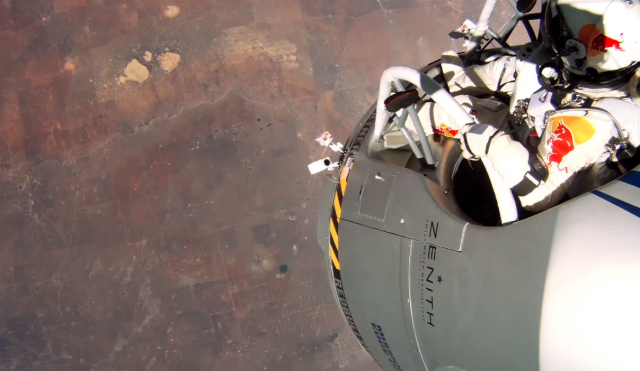 The vault is the ultimate insurance policy for the world’s food supply. 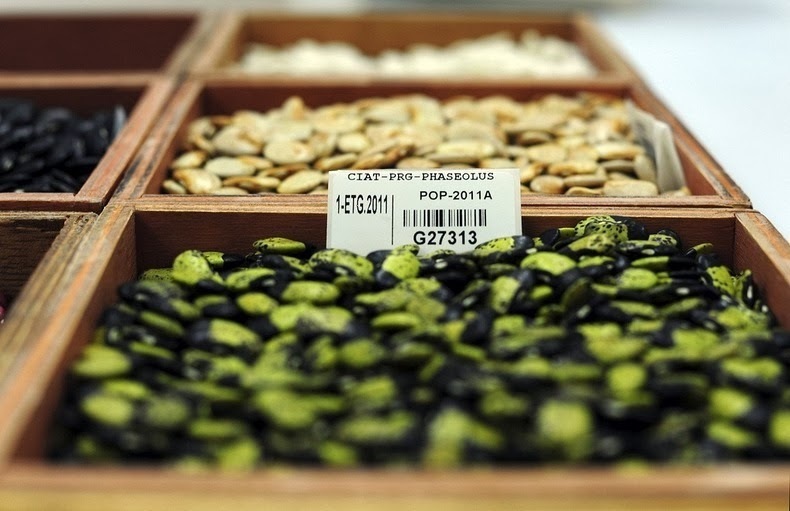 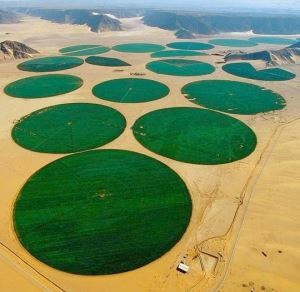 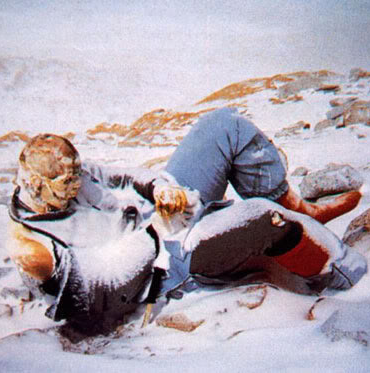 It has often been called the ‘Doomsday’ Seed Vault as it insures that food supply can be restarted somewhere in the world after a regional or global disaster. 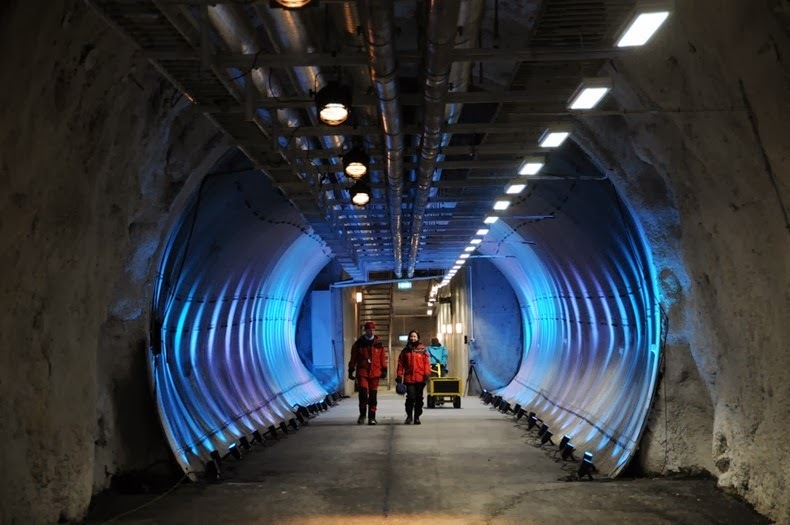 An access door leads to an entrance tunnel that is around 100 metres long that leads to the vault. 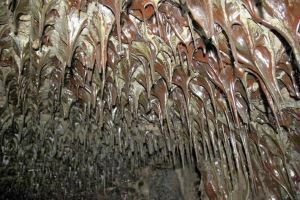 The access door and tunnel is the only visible part to the building. 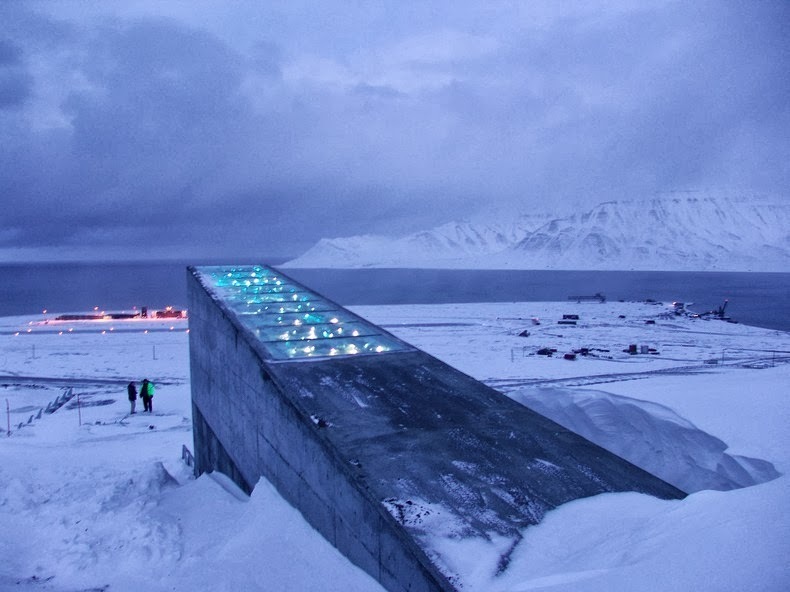 The strange looking ‘fin’ shape is made from concrete with some brushed steel and lights for decoration which makes it look like a mix of an art installation and a secret vault from the X Files. 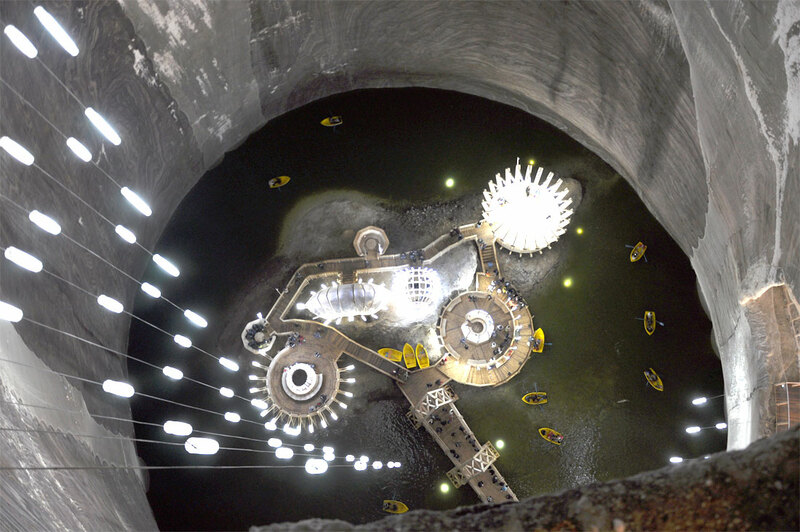 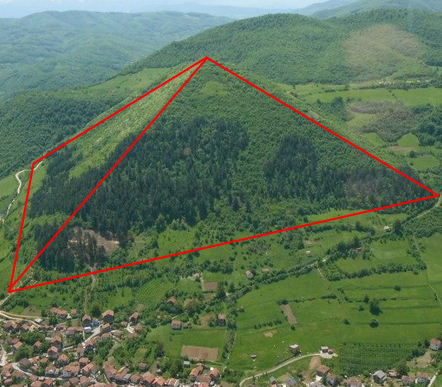 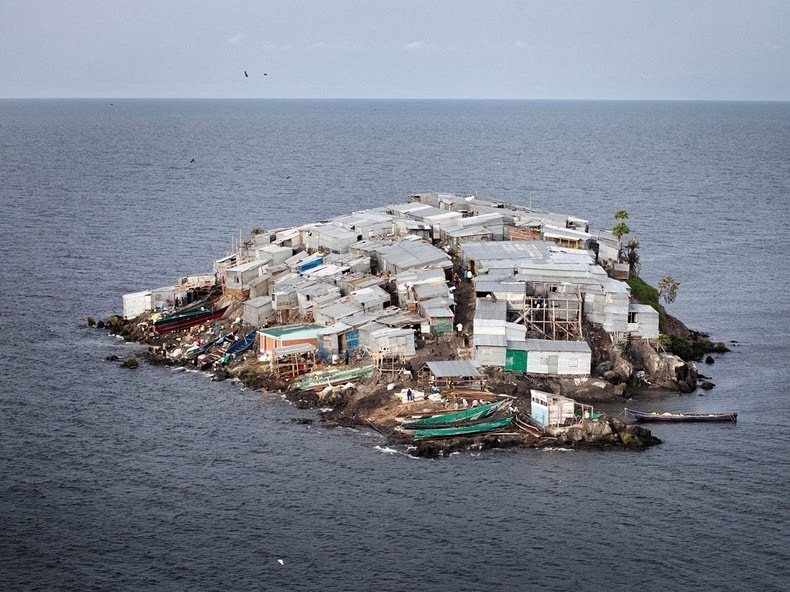 The location has been chosen because of its capacity to withstand most things from earthquakes to potential rising water levels from Climate Warming. 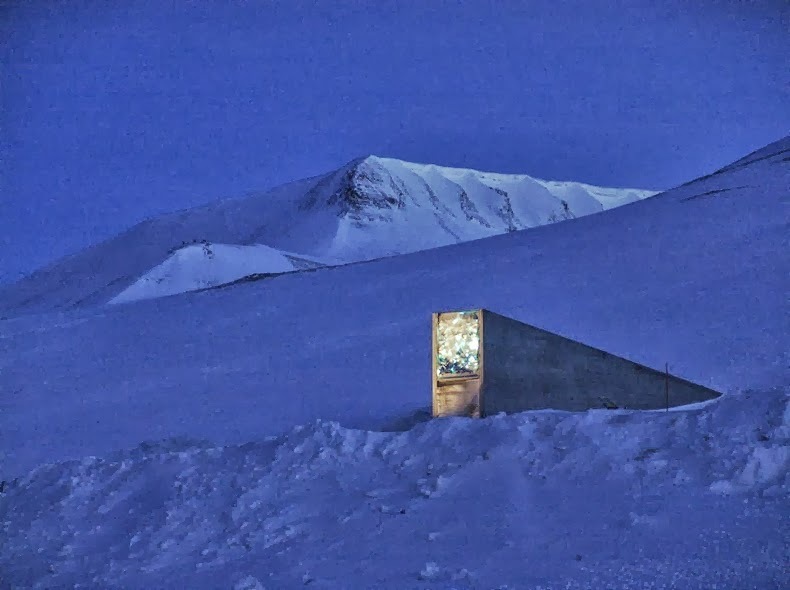 The vault is built so deep within the mountain rock that any change to the climate at Svalbard will not affect the efficiency of the permafrost keeping the seeds safe. 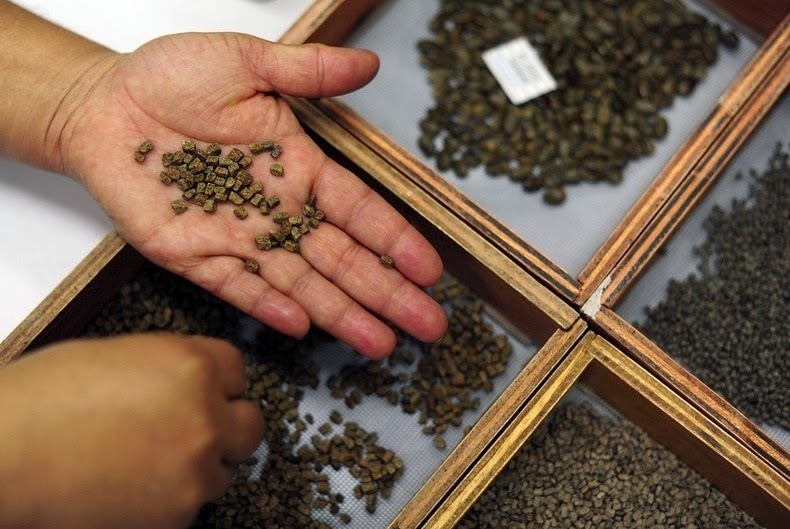 The building consists of three separate underground vault chambers each with the capacity to store 1.5 million different seed samples. 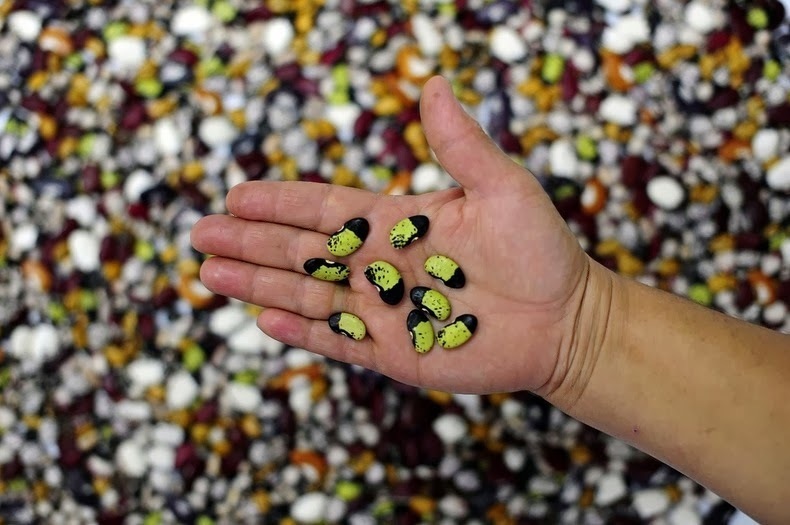 The Seed Vault works like an international deposit box in a bank but for food seeds. 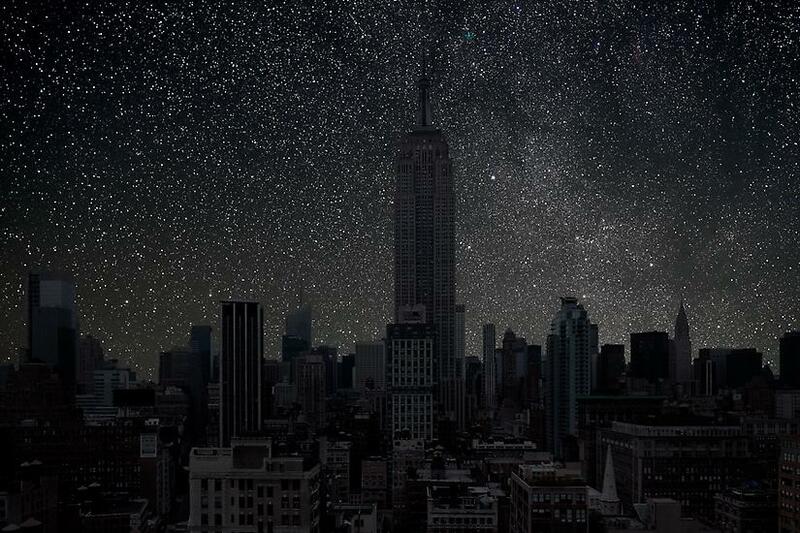 Normally the bank owns the building but the depositor owns the content of their own box. 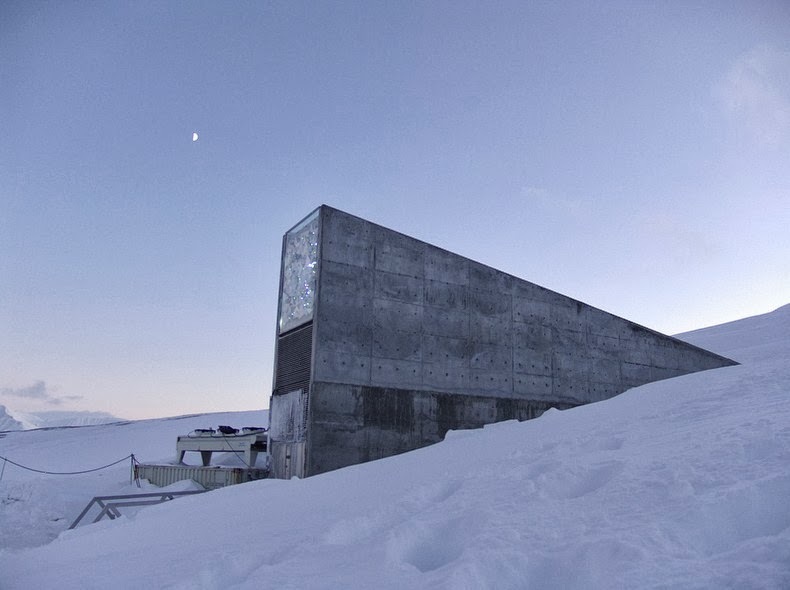 In this case the bank is Norway that owns the Seed Vault which cost $9 million to build.